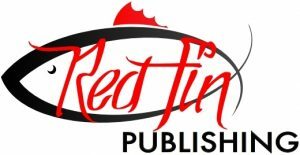 Red Fin Publishing is a Christian-based company that produces high quality publications for specific areas in and around Texas. Started in Texas and made by Texans for Texans. Our staff believes there are no short cuts to success and we must produce the highest quality material available to both outlast and blow away any average shelf life of a typical publication. We give all glory to God for our work, and do our best everyday to produce something exceptional for you. Red Fin Publishing produces high quality, coffee table publications designed and tailored for specific towns and counties. Each area has such a unique story that only high quality pictures and an in-depth story will do. We take the time to tell the whole story. Within the pages you’ll also see our Hometown Happenings sections, which features local hometown events, fundraisers, get-togethers and just what makes the town tick. Each market receives two publications per year. We believe there’s so many wonderful people and places for each area, it’s necessary to give multiple editions covering what’s offered. For your market’s specific distribution dates, please contact us today. Magazines are delivered in bulk to local businesses, professional offices, waiting rooms, visitor centers and Chambers of Commerce. We want your story to be told and available at as many different locations as possible. Gone are the days when racks and limited distribution methods are acceptable – the word deserves to get out to all, not just a select few. Our mission is to leave a lasting legacy that tells the whole story of your area. We believe there’s something special in getting to know the area in which you live and showing you the businesses, shopping, functions, festivals, restaurants, and fun things available to you. We believe it’s our calling to dig deeper, and go further to shine a light on your area.